Kupreanof Strait - Big Timber Lodge is located on the southern tip of Raspberry Island, Alaska. You can keep two halibut per day with an annual limit of four. The 2,400 square foot lodge hosts up to four anglers per week. The Kenai Peninsula is home to the Kenai River and the scenic town of Homer. The region is known for its king salmon and halibut fishing. 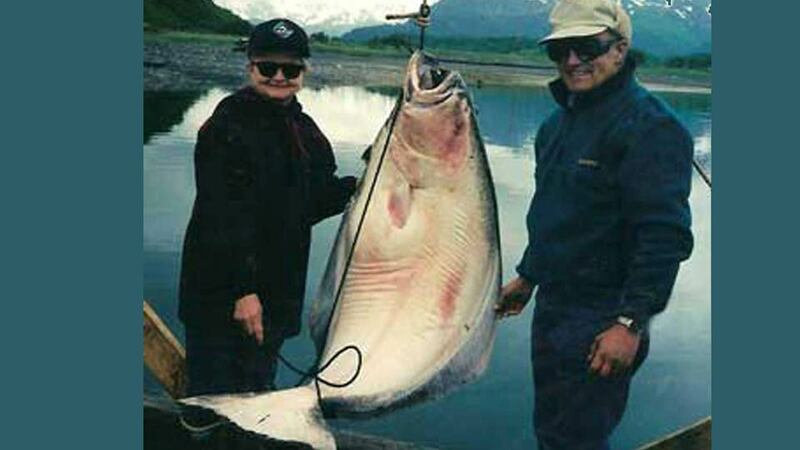 For over two decades, Chuck Thomas Sportfishing has offered flexible fishing packages in the Kenai Peninsula. Eagle’s Nest Lodge in Gustavus, Alaska, (35-miles west of Juneau) is known for the world’s best halibut fishing on the calm, protected waters of the Inside Passage. 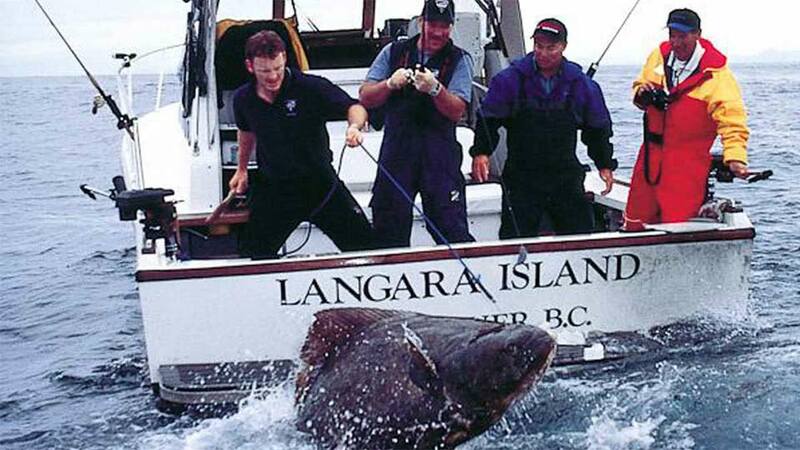 This lodge has landed a 482-pound halibut. The comfortable lodge is just a short van ride to the marina where the boats are docked. Sitka, Alaska is only a 2-hour direct flight from Seattle. 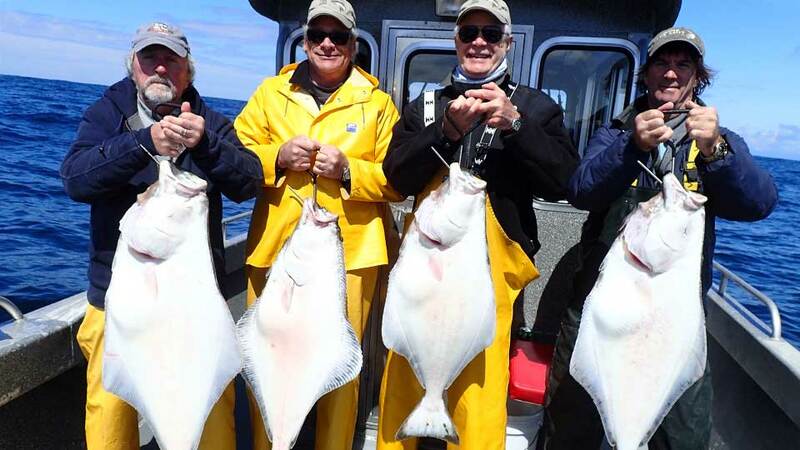 Sitka doesn't have to contend with strong tidal currents meaning you can fish for halibut any time of the day. Halibut are abundant all season. Photo is of one of our Hosted groups at Kain's. Fish the protected waters of Sitkalidak Strait off Kodiak Island. Halibut are available all year with peak fishing from June 1 through September 10. 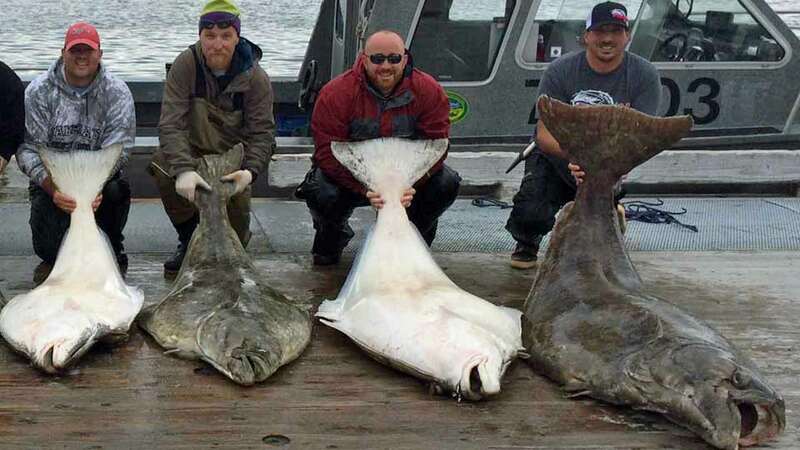 For Kodiak Island, there is a four halibut per person limit per calendar year (2018). Langara Island lies just south of Alaska, off the northern tip of Canada's majestic and remote Haida Gwaii ~ Queen Charlotte Islands. 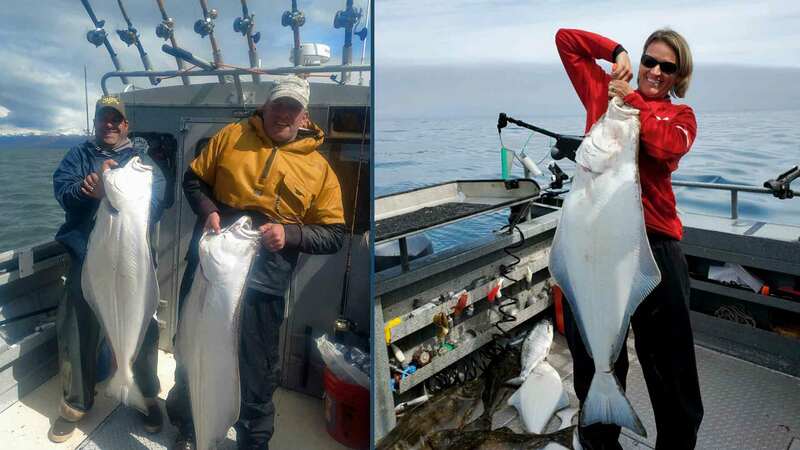 Current size restrictions limit anglers to retaining halibut no larger than 60-pounds and over 48.4 inches long (2018). British Columbia - Floating Lodges and world-class salmon and halibut fishing. Westcoast Resorts are located on British Columbia's remote coast in Haida Gwaii, (formerly the Queen Charlotte Islands) only 80-miles south of Alaska. Current size restrictions limit anglers to retaining halibut no larger than 60-pounds and over 48.4 inches long (2018).